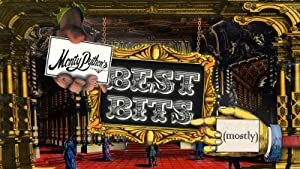 Monty Python’s Best Bits (mostly) – Season 1 (2014) – What's New on Netflix Canada Today! This series is presented by self-confessed Python nut Hugh Bonneville, each show with a group of five famous comedians remembering their favourite Python moments. Each guest chooses a sketch (or two) and it’s played with their comments.. This series is presented by self-confessed Python nut Hugh Bonneville, each show with a group of five famous comedians remembering their favourite Python moments. Each guest chooses a sketch (or two) and it's played with their comments..